Haiti donates 630 generators and building supplies to The Turks and Caicos Islands in the aftermath of Irma and Maria. The Government of Haiti made a large donation to its neighbor, The Turks and Caicos Islands, donating 630 power generators and building supplies to help the country in the aftermath of hurricane Irma and hurricane Maria. Haiti donated 630 power generators, 1000 sheets of plywood, 4,500 tarps, 2,000 sheet rock and 4,000 metal roof sheets to the Turks and Caicos Island. These gifts which arrived Monday, 30 October 2017, and delivered to the authorities of The Turks and Caicos Islands were described as "monumental gift" by the media of the Caribbean island, according to Haitian newspaper Le Nouvelliste. Very nice gesture on the part of the Haitian government. "Give and you shall receive," says the Bible. It is the nature of the Haitian people to help others even when they themselves are stripped down to nothing. They are not giving out of excess this is a great sacrifice for all the Haitian people. Donate when you are yourself in need makes your gesture even more significant.This reminds me the widow of the bible. The idea of supporting these people is good and makes me feel good as Haitian living abroad. At least, we may be in the news for a good reason. 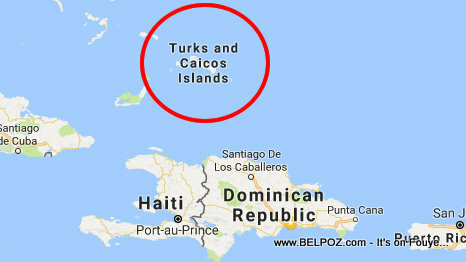 regardless of what The Turks & Caicos Islands has gone through, there is no comparison as to what is going on in Haiti! Obviously, the Haitian government are HOARDING supplies, (I am sure supplies given to them from other countries to aid in the lives of its dying, starving people) and not allowing the people who really need it get Access to it!! The BVI would love some of that help. Etta president of the RJPS Haiti association. I totally agree with the first comment. It is good to be a giver. That's wonderful! I feel so proud now because of this. We need to have the mentality of giving also, not only receiving all the time.